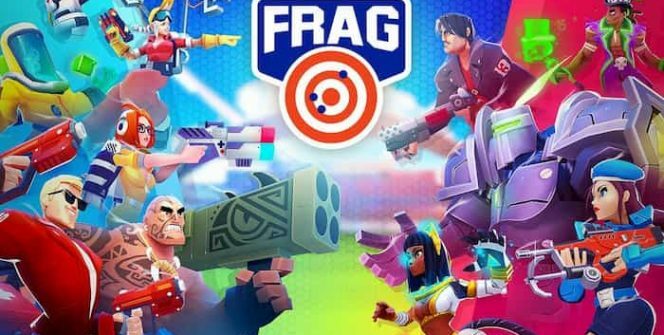 The objective of FRAG Pro Shooter is to build a powerful team of heroes who you’l be able to use to fight other real life players, to become the highest ranked player in the world. 1. You’ll regularly unlock new heroes to add to your team. As you start to level up through FRAG Pro Shooter’s levels, you’ll unlock new character cards, which you’ll be able to add to your team. It’s well worth trying to unlock as many characters as possible as each character offers unique abilities, that will help you increase your team’s power. 2. Each character features a hidden super power. Not only does each character offer different abilities but each character also has a hidden super power, that you’ll be able to discover, in battle. It’s well worth using your characters’ special abilities when you’re in a tight spot, battling against a challenging opponent. 3. You can upgrade your favorite heroes as you progress through the game. All the characters in FRAG Pro Shooter can be upgraded. So once you have a few favorite heroes, you’ll be able to spend your in game points to upgrade your favorite heroes with new abilities. 4. There are thousands of real life players to challenge. At any given point in time, there will be thousands of players online, looking to participate in exciting, fast paced duels. 5. 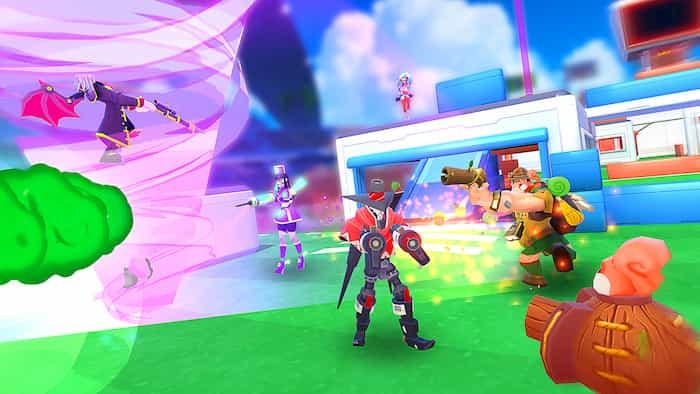 You’ll be able to control your heroes in first person mode. FRAG Pro Shooter features a first person mode, which is fun to use and which will allow the character which you’ve selected to automatically attack your opposition. 6. It’s simple to switch between your heroes in battle. It only takes one second to switch between your heroes so if the hero which you are currently using is struggling to effectively damage your opponent’s hero, you’ll be able to switch out your hero for a new one quickly and easily. 7. You can join a club or create your own club. If you enjoy the social aspects of multiplayer games, you’ll enjoy being able to choose an established club, full of real life gamers who’ll be able to help you advance through the game. You can even send and receive gifts as part of a club. Alternatively, if you’re more of a leader than a follower, you can also elect to create your own club, which you’ll be able to invite your friends to join. Regardless of whether you are more interested in joining a club or creating your own club, you’ll be able to level up far quicker as a member of a club than as a lone wolf. 8. You can record your decks and your battles. In order to share your hints and tricks with your club members, you’ll be able to record video footage of your decks of your heroes as well as your battles, which you’ll then be able to share with other players. If you’re a skilled player you may even be able to attract a following of fans, who enjoy watching your gameplay. 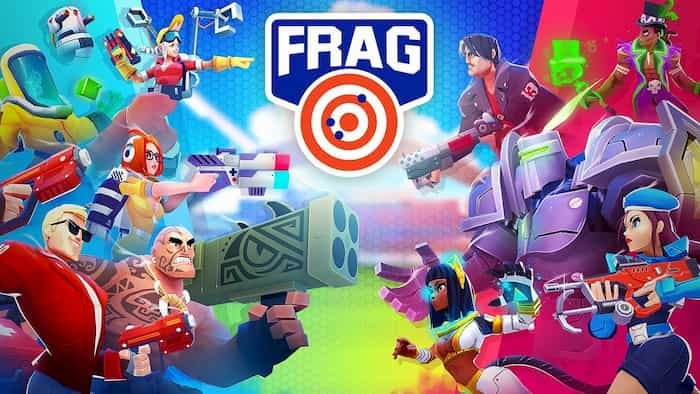 So if you love real time battles and building teams of powerful heroes, it’s well worth testing out FRAG Pro Shooter on your PC! Sometimes when playing FRAG Pro Shooter, bluestacks ask you fee to pay but gives you option to download some apps. Every time it asks you just select “Install apps” and continue using it free. I hope you enjoyed this article, please rate and share. If you have problems running FRAG Pro Shooter on your desktop or any other issues, leave a comment below.